Based in Crystal Lake, Illinois, Soccer Xplorer offers soccer camps to kids of all ages, along with futsal training locally. Athletes for both training services will need proper soccer apparel aside from T-shirts, which are provided. 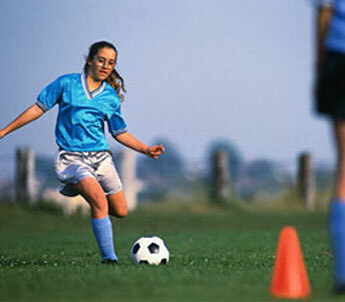 Soccer camp is held from 9:00 a.m. until noon, and all attendees must bring their own soccer ball. Like our soccer training, the environment is friendly and fun, with several international coaches on site to help and coach the players. Soccer Xplorer is currently planning soccer trips to Brazil and elsewhere in South America for soccer players from age 13 through high school seniors. Both male and female soccer players are welcome to attend, as well as small groups. Check back for more details that are soon to be announced. Our staff uses futsal training to focus on footwork and quick decision-making in tight spaces. The camp is designed to be outdoors but futsal training is done indoors at Holy Cross Lutheran Church in Cary, Illinois, Fridays from 4:45 p.m. to 6:15 p.m. We welcome kids and young adults who wish to master this fast-paced game. This is ideal for children 11 to 13 years old, and we recommend that they come dressed appropriately for soccer, with flat-bottom indoor shoes.